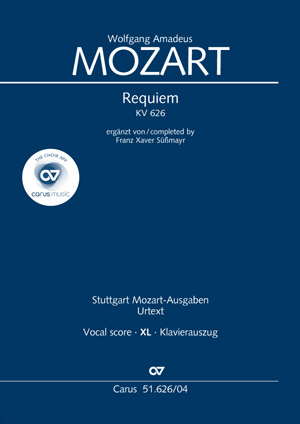 This month we have expanded our Vocal Score XL series of music in large print with three new editions: Mozart's Requiem (Süßmayr), Saint-Saëns' Oratorio de Noël , and Bach's Christmas Oratorio (Parts I–III). The latter has been revised for this series and has been published with an improved layout – incidentally, all of these vocal scores are also available in the accustomed Carus format. We wish you much enjoyment in discovering our new issues, plus a pleasant and relaxing summer. P.S. : You can find out about our new publications for autumn 2016 in this digital >> preview of our publishing program (PDF) . 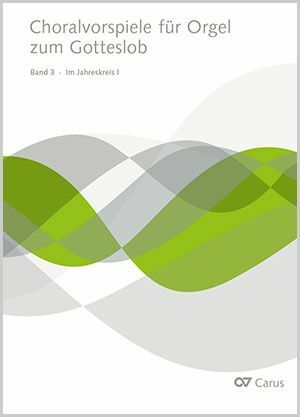 A wealth of highlights awaits you and your customers both in our core area, modern Urtext editions for choirs, as well as in our LIEDERPROJEKT and digital products. With Vocal scores XL we are offering important choral works in reader-friendly large print. Two new publications continue our series which successfully launched a few months ago: Saint-Saëns' Oratorio de Noël and Mozart's Requiem (Süßmayr version). 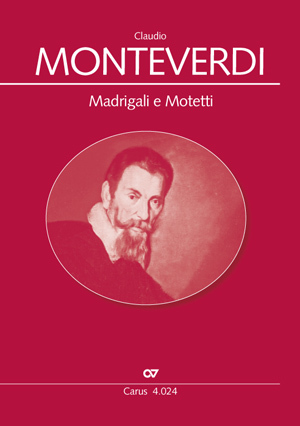 This is a "must" to celebrate the 450th anniversary in 2017 of the birth of the great Claudio Monteverdi. The choral collection is a compilation of 20 compositions: both secular madrigals and sacred motets. The entire collection also includes a basso continuo realization. Separate editions are in preparation. With regard to legibility, bilingual choral editions are often given low marks by choristers. 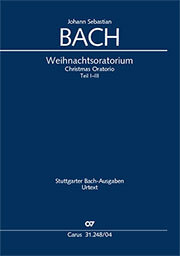 Therefore we have revised our regular vocal score of Bach's Christmas Oratorio and published it in a new edition which contains only the German language. This new edition with its optimized layout is of course compatible with all of the already existing performance material: full score, vocal score with English singing text, choral score and orchestral parts. 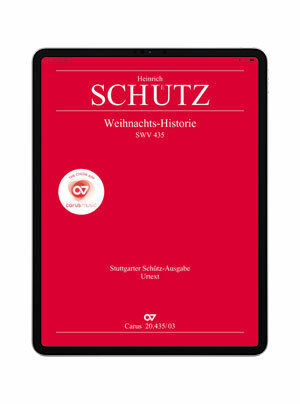 Two new works have just been released this month in carus music, the choir app: Schütz' Christmas History and Haydns Mass in time of war. Try out the choir app free of charge – with one choral movement for each work. price may vary from country to country) each until 14 of August – download them on the App Store or get them on Google Play! Our series of chorale settings for organ continues with a volume of 35 compositions based on hymns which are used throughout the church year. The volume contains many exciting new discoveries: distinguished composers have contributed to the volume, and some less well-known works from the Baroque to the 20th century are also included. 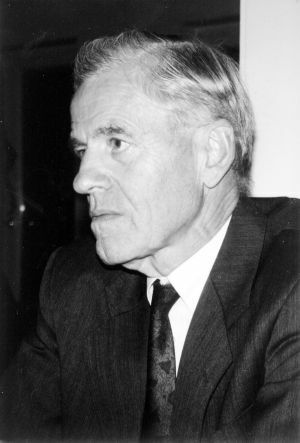 Carus mourns the death of Dr. Paul Horn yesterday at the age of 93. 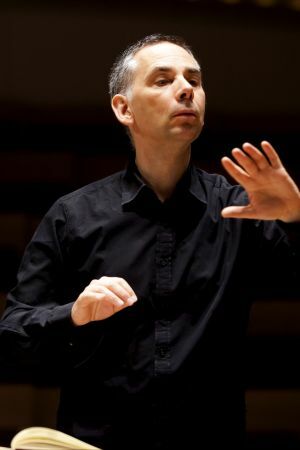 He is best-known to many choral directors and church musicians through the many vocal scores and basso continuo realizations he made, as well as through his compositions and his work as an arranger and editor. Our collaboration with him began over 50 years ago with the Easter Dialog by Heinrich Schütz. He will be sadly missed. Our thoughts are with his family. For Stefan Schuck, Reger's great chorale variations for organ are like the peaks of the Himalayas: inaccessible, massive, and daunting. Discover why Reger's Acht geistliche Gesänge op. 138 are amongst his very favorite works of all.